Holy Saviour Church was built and endowed by the Revd George Gainsford. The architect was William Butterfield, who designed All Saints, Margaret Street, London (1850-59) as a ‘Model Church’ for the Ecclesiological Society, to demonstrate the ideal of church design and furnishing in accordance with the Oxford Movement. 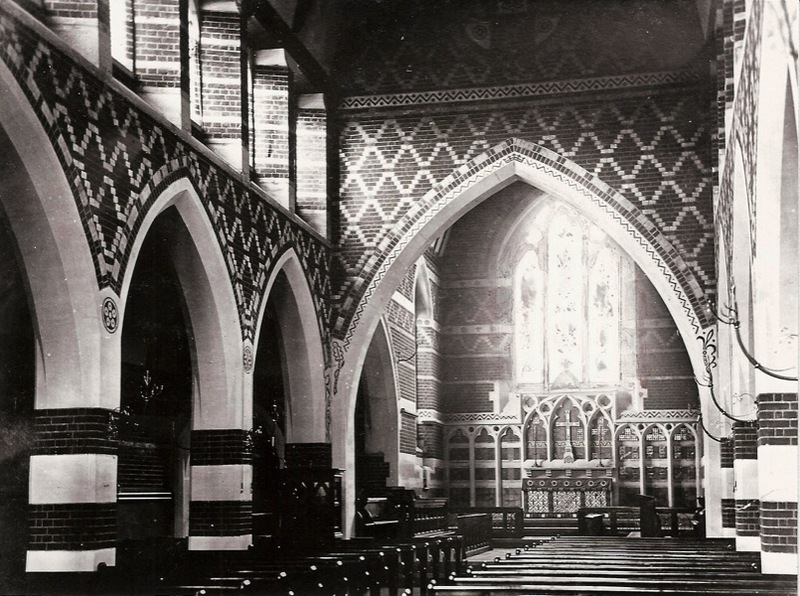 He wanted to ‘give dignity to brick’ and designed many polychrome churches, including St Albans, Holborn (1859-62) and Keble College Chapel, Oxford (1867-83). 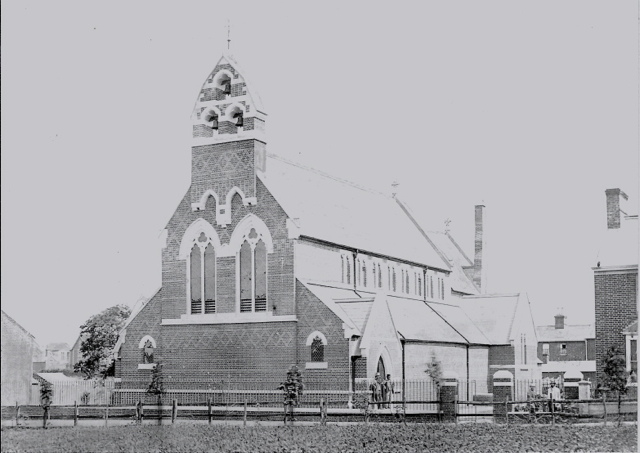 Holy Saviour Church was built in a newly developing area of Hitchin near the railway station,and was consecrated on Ascension Day 1865. The Reverend George Gainsford became the first Vicar. The church was designed and developed as a suitable setting for High Church ritual and ceremony. When it was first built it was a very light church, with plain glass. The brickwork patterns and diaper work were the main feature. All the stained glass dates from the Victorian period. The first stained glass to be added was the East window, showing the Ascension. It was designed by William Butterfield and executed by Alexander Gibb. The windows in the South aisle depict Old Testament stories, and the West end and North aisle, the life and ministry of Jesus. The clerestory windows depict the Old Testament prophets and the Apostles and Evangelists. 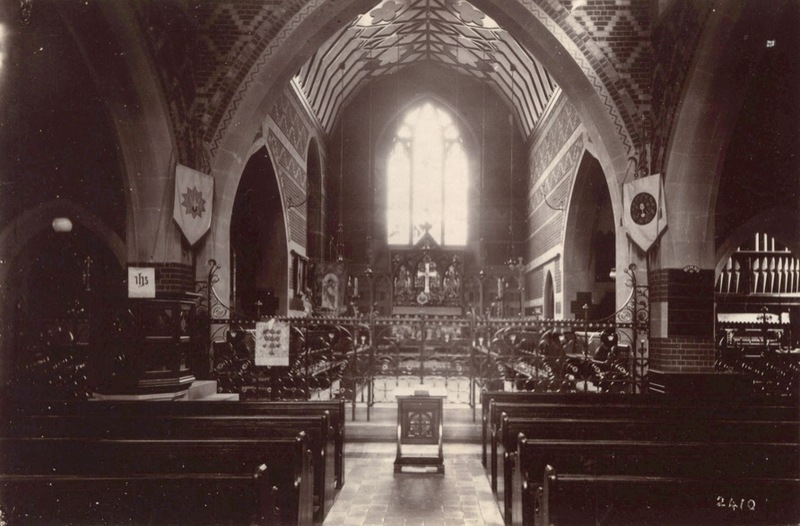 The church was extended with North and South aisles in the 1880’s. 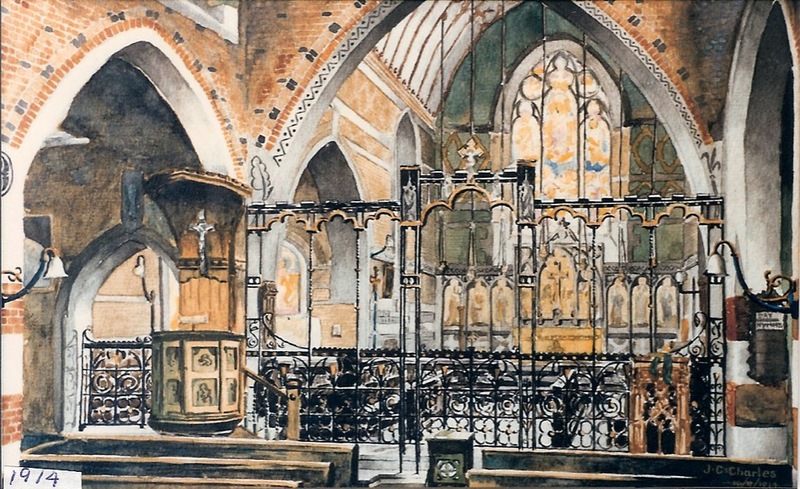 A painting of the church in 1914 shows the screen, and the reredos of the Early Fathers of the church. Click here to see an aerial view of the neighbourhood taken in the 1920s (in the picture, Radcliffe Road runs diagonally towards the top right-hand corner). The Stations of the Cross were completed in the 1930’s. The church was reordered in 1971-72, when the central nave altar was constructed. George Gainsford, the first Vicar, was instrumental in additional buildings being provided to serve the community. In 1868 a Trust was founded to build almshouses and an orphanage by public subscription. 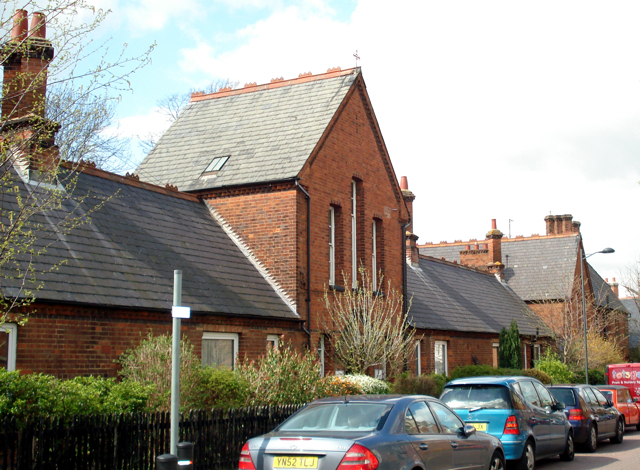 St Saviour’s Almshouses (“The Cloisters”), which are opposite the church, were opened in 1869/70 and were gradually extended during the Victorian period. They have now been refurbished by Howard Cottage Housing Association to provide social housing. 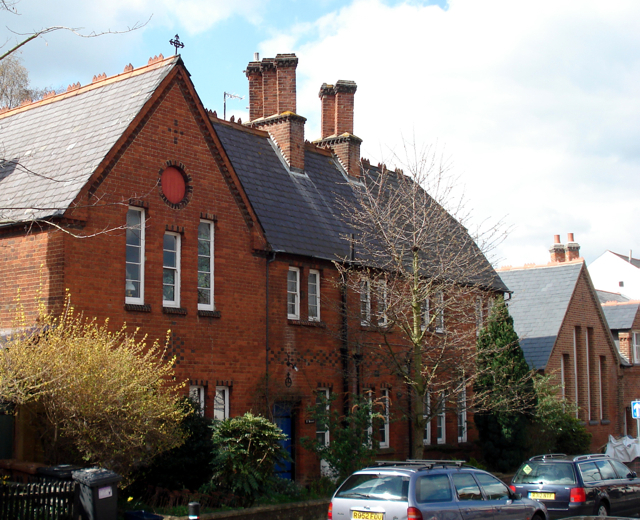 The orphanage (St Bridget’s) opened in 1873 and was run by the Sisters of St Margaret, East Grinstead, until 1934 when a new Trust was set up. The building was sold and became a private house in the 1950’s. St Saviour’s School opened in 1868 and closed in 1955. It became the Gainsford Hall and then a Sikh Gurdwara, and has now been converted into housing. Many of the Vicars of Holy Saviour have been involved in serving the local community in different ways. The church family here now are seeking to follow the same vision as the founder – of worshipping God with reverence and awe and responding to his love by serving our community.